At this midpoint in the semester, most students find themselves in their routine. Thanks to the colored tabs in my calendar, I know when I must get out of bed, and alarms will guarantee that I will actually start my day five minutes later. Classes, meetings, and faces run on a repeating schedule, and it’s easy to get comfortable in that. A goal of mine this semester was to break part of my routine. I no longer work on the Phoenix’s editorial board, and the time I spend in lab has grown like my cell cultures — unexpectedly fast but invigorating at the same time. Part of that aim was to learn how different members of the campus community view where we live. What brought this change was a conversation I had on the SEPTA to Philadelphia one afternoon. Riding with friends to get dinner, a woman stopped me to share her experiences of, to put it lightly, mistreatment by way of the infrastructure and staff of the rail system. As a woman with considerable mobile limitations, she found Swarthmore’s SEPTA station particularly inaccessible to people with physical disabilities and handicaps. To preface this story, she told me to share her experiences to make it known that the station is not built for individuals like her. She found herself on the westbound platform, the one closer to Parrish Hall, but she needed to use the eastbound train, accessed by the Ville side of the station. With only a few minutes to reach the other platform, she attempted to walk under the rails using the stairs with her crutches instead of using the “accessible” route. She fell and laid unhelped in the watery underpass until a passerby arrived and offered help. Although this is not the only disappointing story she told me that day, she instilled in me the idea to both consider my mobility and to provide a voice for people with experiences like her. I hope to do her justice here, but to say it explicitly, I am an able-bodied individual. To do some due diligence, I decided to walk the accessible route of the SEPTA station here on campus. It will be familiar to many of you if you walk along Chester Road behind David Kemp and Mertz Halls. To get from the Media-Elwyn bound platform to the Philadelphia platform, one must walk away from the station and through the SEPTA parking lot, down to Ben West parking lot, cross the street, walk back towards the rails until one reaches the Chester Circle, and up past the Swarthmore Inn to reach the station. Due to the roundabout way the station is constructed, and because I have often missed trains myself, I can understand why the woman I met was concerned about missing her train by using this route. I am also not surprised she was asking for better conditions to access the station. That’s why I am doing so here. Of course, there have been improvements to the station. When I was first a student here in the Fall of 2016, there was no dedicated crosswalk by Ben West, or one that was as safe to use as the one present now. There also seem to be new accessible sidewalk ramps, but I cannot remember how new these structures are. That being said, the college has incentive to improve this station, even if it is not campus property. SEPTA is a service that should be accessible to all parties as a nearly public good, including individuals with physical handicaps. The college has many individuals that want to utilize this service, but are limited due to its infrastructure. I know that I was told of Philadelphia’s resources as a prospective student and have shared those ideas as a tour guide myself, but if a connection to Philly is a true point of the school’s identity, access by all community members, whether financially or physically, should be at the forefront of the college’s engagement with SEPTA. Further, there are safety concerns related to this station. Like my friend from the train ride, community members should not be afraid to move around campus and near campus resources. The Ville is a part of the Swarthmore student’s experience, and SEPTA is only part of the Ville’s draws. A similar “accessible” route must be taken into the Ville. That means that students, faculty, and staff that live or utilize the Ville are in particular danger of having a mishap with this area. To ensure security across the Swarthmore experience, the college should investigate ways to make the Ville, especially the SEPTA station for its strong flaws, more accessible both physically and temporally. The community, finally, has a responsibility to those people that interact with us, even just for a moment. 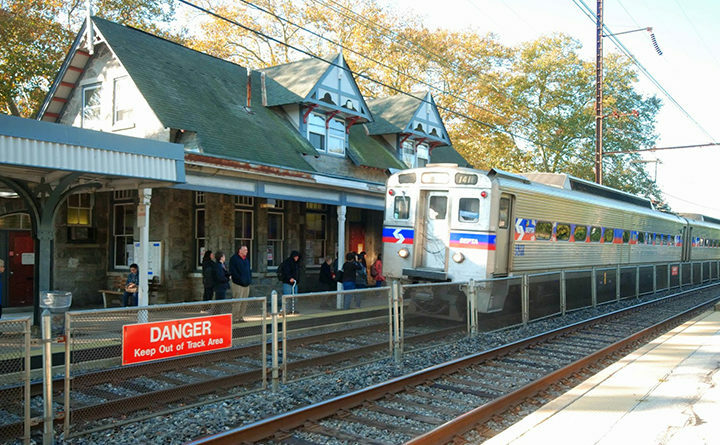 Community members, though at the fore of who the college must think about, are not the only ones that will access the Ville and Swarthmore SEPTA station. A prospective student’s family member or a person going to downtown Philly have these moments with our community, and to be responsible to them means improving their lot in whichever way we can. All individuals that are connected to the community are just as deserving of a safe experience as we are. I do not know how to propose a more accessible route or station structure. I’ll leave that to the engineers. However, as a community member, I must challenge the college to take to task the insufficiencies and insecurities that the current infrastructure surrounding the Ville and SEPTA stations cause. As a community that on the whole wants to make a better world for many groups of people despite differences among them, we must consider the way the world functions for people today and to get out of our comfortable schedules. The college must take on this responsibility to improve this small bit of the world that is ours for members of the community and those beyond. As both a longtime rider and frequent critic of SEPTA*, I wholeheartedly agree that it needs to do more – a LOT more – about accessibility. The agency has dragged its feet for years on things like ramps and high-level platforms, and its current “leadership” under Jeff Kneuppel seems to be in reactive mode most of the time. The SEPTA Board is composed primarily of political appointees without serious transit experience, and is structured so that each county can defend its own interests without regard to the needs of the whole region. Other issues like the lengthy timelines for service improvements (three years to Wawa, 8 or 10[!] to K of P ??) and the cumbersome Key farecard system would be unacceptable in many other regions but are standard operating procedure here. That said, there are a several factors that mitigate against fast fixes, even if there were a management housecleaning. 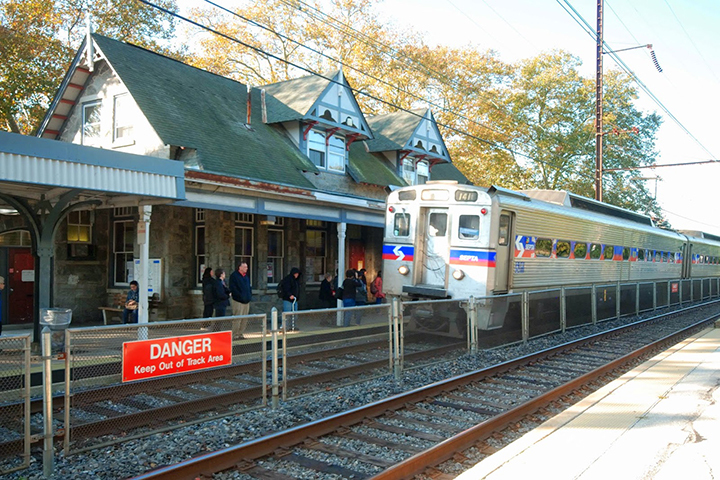 Much of SEPTA’s rail infrastructure dates back to the late 19th and early 20th centuries. Station layouts, tunnels, and walkways would in many cases have to be completely reconfigured to bring them up to modern standards. That’s massively expensive and will take many years to accomplish. In addition the agency is coming out of a prolonged period of financial neglect, even overt hostility from the state government. Prior to the passage of Act 89 SEPTA received roughly one-third as much state support as did comparable transit agencies in other states – and even with Act 89, they’re still at the lower end of the curve. That underfunding led to a huge, multi-billion dollar backlog of maintenance and repair whose resolution has to be a high priority in order to maintain safety and reliability. There are several things you can do to push SEPTA to improve its, uh, “track record”. You can contact local representatives with specific concerns, maybe invite them to see some of the problems first-hand. You can form a student transportation committee to work with the college and SEPTA to come up with proposals and possible answers. You can also join rider-activist groups like DVARP whose membership includes transit experts with connections both at SEPTA and in Harrisburg.